In celebration of the launch of Anna Maltz’s new collection of Marlisle patterns, Wild and Woolly is thrilled to announce a special masterclass with Anna on the technique..
As an entry point into understanding this novel approach, you’ll cast on a Kraai Mitt, from Marlisle: A New Direction in Knitting, under Anna’s expert guidance. A speedy, engrossing little project inspired by old fashioned leather driving gloves with arrows on the fronts that echo birds in flight or road markings. Knitted in the round, it uses increases and decreases to create travelling stitches that mean there’s an interesting shaped chart to follow. 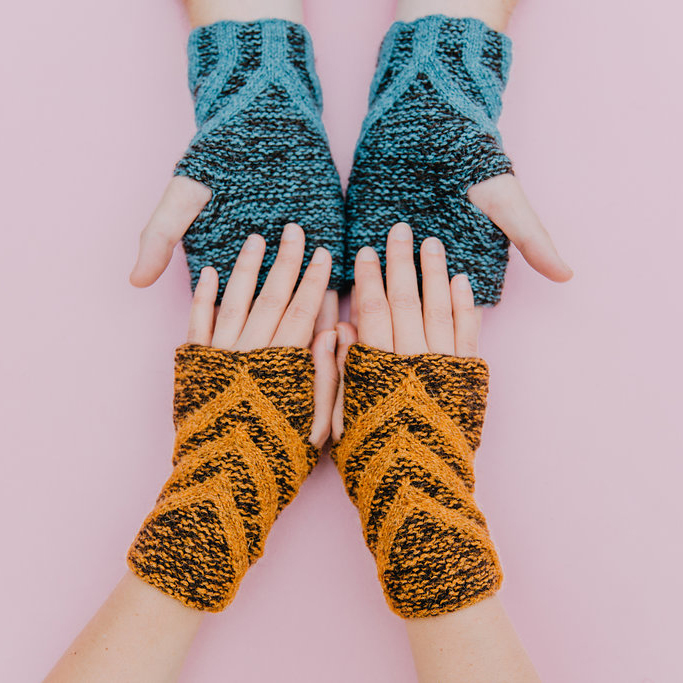 Suitable for a range of skill levels, but perhaps most exciting for knitters who have experimented with stranded colourwork and intarsia and understand the limitations of these existing techniques. 50g each of 4ply weight yarn in 2 contrasting, but harmonious colours. 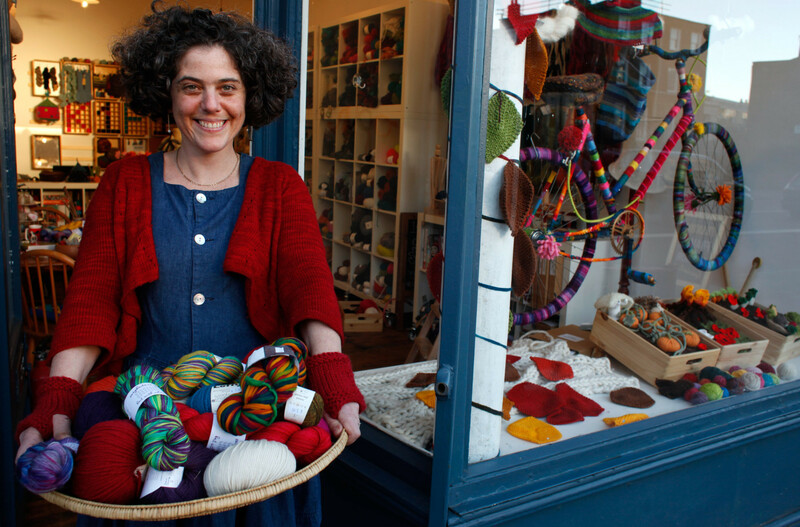 Go for 100% wool, ideally not super wash treated – you want something a little ‘sticky’. 3.25mm DPNs (or whatever needle size needed to achieve the correct gauge – see homework note below) or circular needles long enough for magic loop – depending on your preferred small-circumference technique and knowledge. Students are welcome to bring a range of sizes from 2.5 mm to 4.5mm, in case you want to adjust during the class. NB Anyone wishing to buy any of the materials including the book, will be entitled to a 10% participants’ discount. 22 stitches x 40 rows = 10cm x 10cm/4”x 4” over garter stitch using both yarns held together after blocking. This should be a fairly DENSE garter stitch using your chosen two 4ply yarns held together.